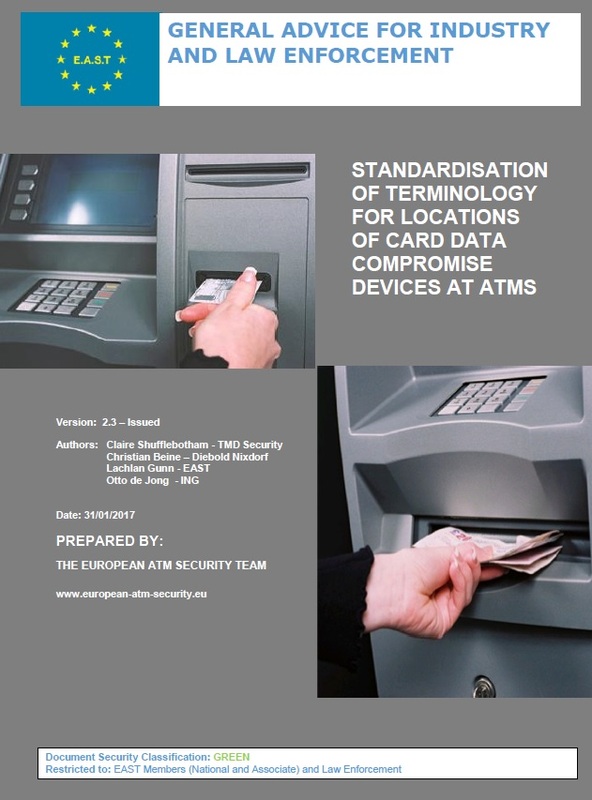 The EAST Expert Group on ATM Fraud (EGAF) has updated its guidelines on standardising terminology for locations of Card Data Compromise (CDC) devices at ATMs and also the definitions used to report and classify ATM fraud. The new information can be found on the EAST website on the pages Terminology for locations of CDC Devices at ATMs and ATM Crime Definitions. EAST has made this information publicly available to promote the usage of both the location terminology and the ATM fraud definitions worldwide, in order to assist the industry and law enforcement agencies to consistently classify all CDC devices, and to standardise definitions used when reporting ATM crime. EAST EGAF will host a breakout session on Day One of the EAST Financial Crime and Security (FCS) Forum which will be held in The Hague on 8th/9th June 2017.